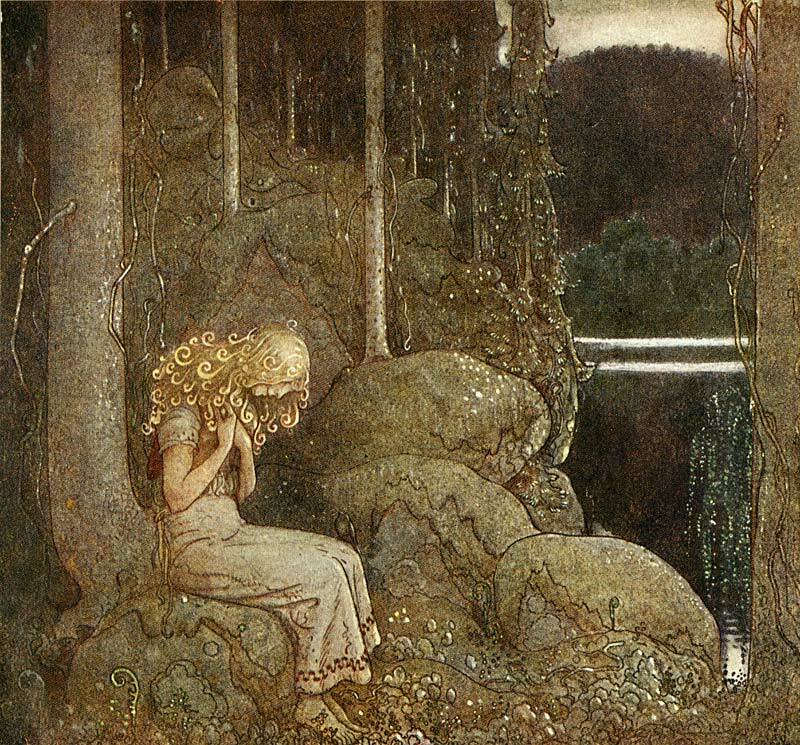 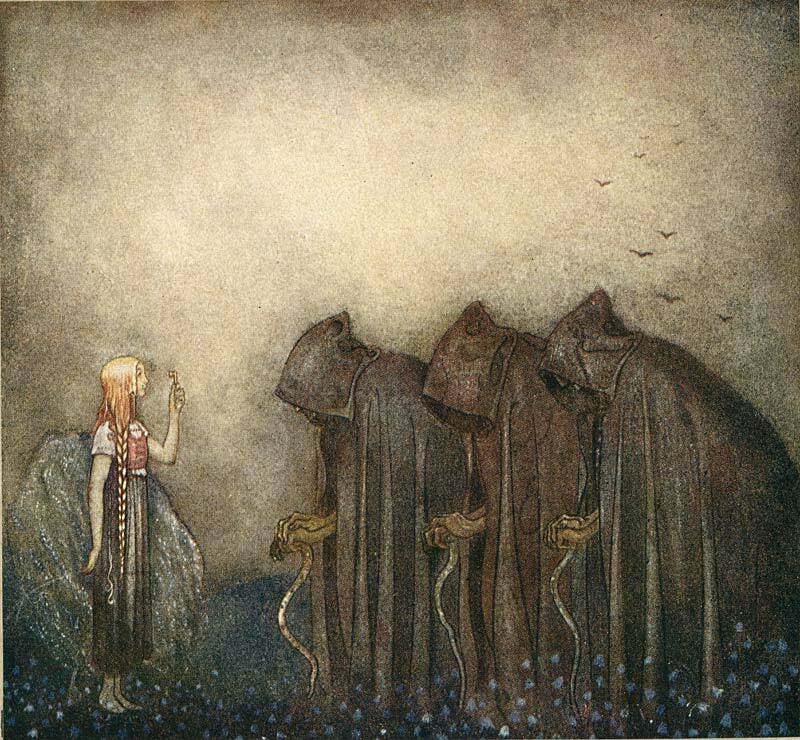 Like many of the artists we feature here on this blog, John Bauer is a name that not many people know. His career was relatively short, but his influence was far reaching. Born in 1882 in Sweden, Bauer studied at the Royal Swedish Academy of Arts. 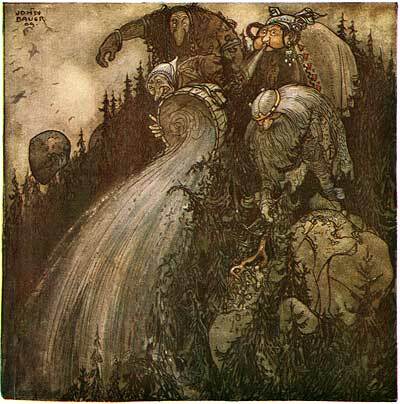 In 1904, he illustrated his first book, Lappland, but in 1907 he began work on a series of Christmas annuals that would make him famous. Bland Tomtar Och Troll (Among Gnomes and Trolls) is a Swedish tradition, beginning in 1907 and continuing to this very day. 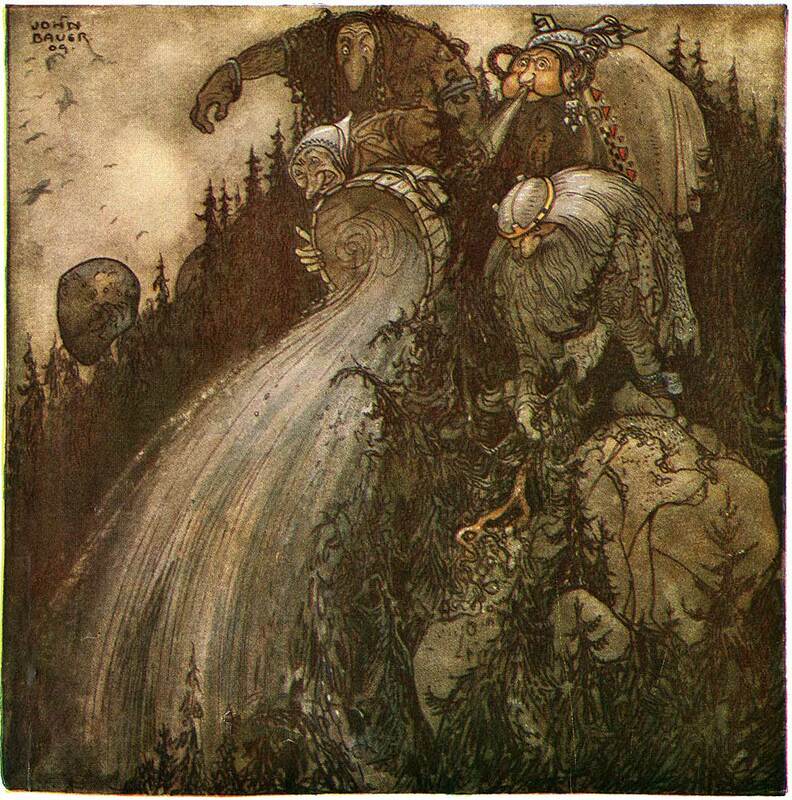 I’m afraid I don’t speak Swedish, so I can’t speak for the folk tales Bauer is illustrating, but the illustrations are stunning. 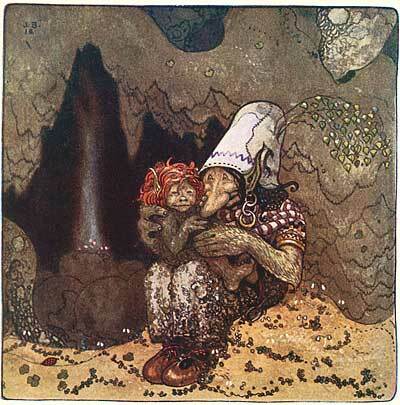 Bauer had a way with trolls… they are grotesque, yet appealing. 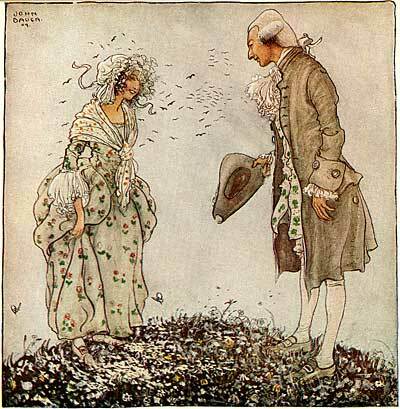 The simple, yet elegant compositions conveyed the essence of the image clearly with a sense of humor that both children and adults could understand. 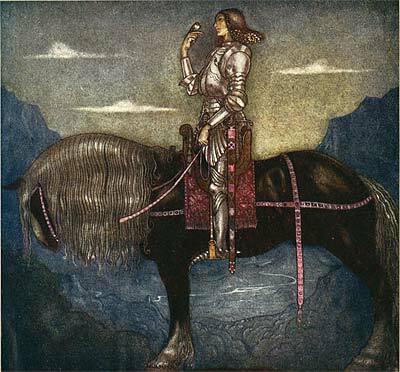 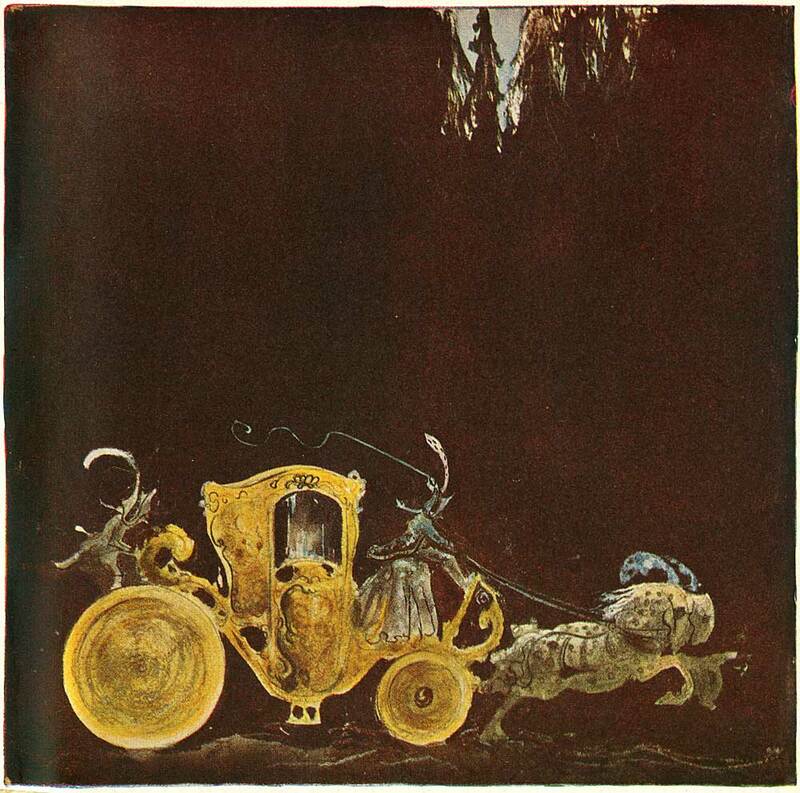 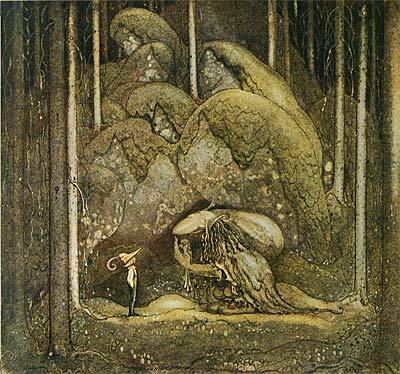 His style influenced generations of artists from Gustaf Tenggren (who took over the Bland Tomtar Och Troll series after Bauer’s death in a shipwreck in 1918), Arthur Rackham, Edmund Dulac and Kay Nielsen to Brian Froud and Jim Henson (The Dark Crystal). 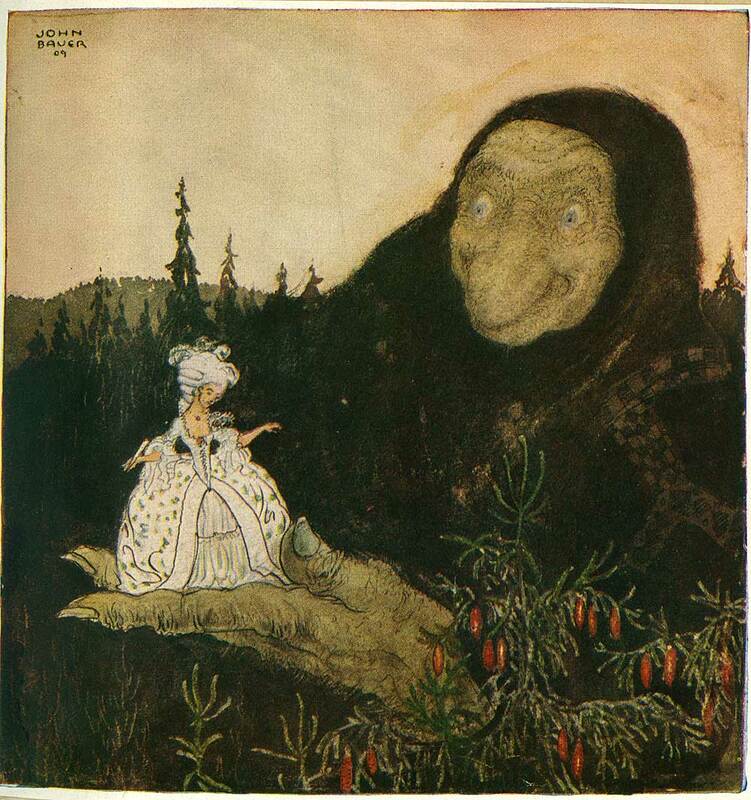 This particular edition of Bland Tomtar Och Troll is from 1915, but the images are timeless. 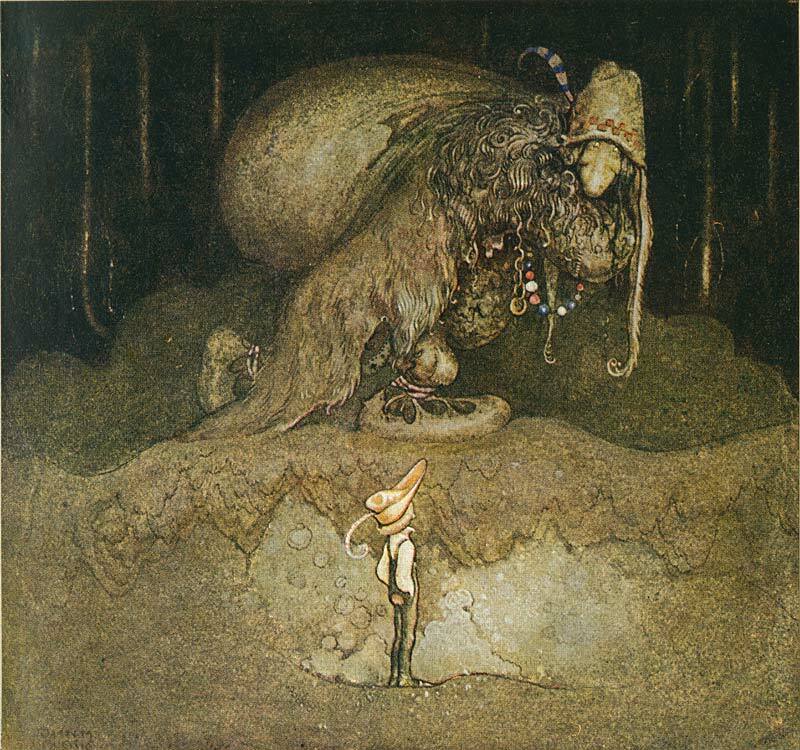 Very little information on Bauer exists outside of his native country of Sweden. 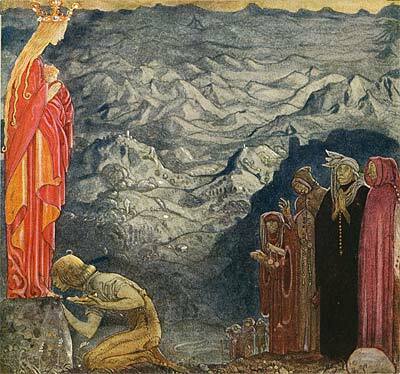 There is a museum dedicated to his work in the city where he was born. 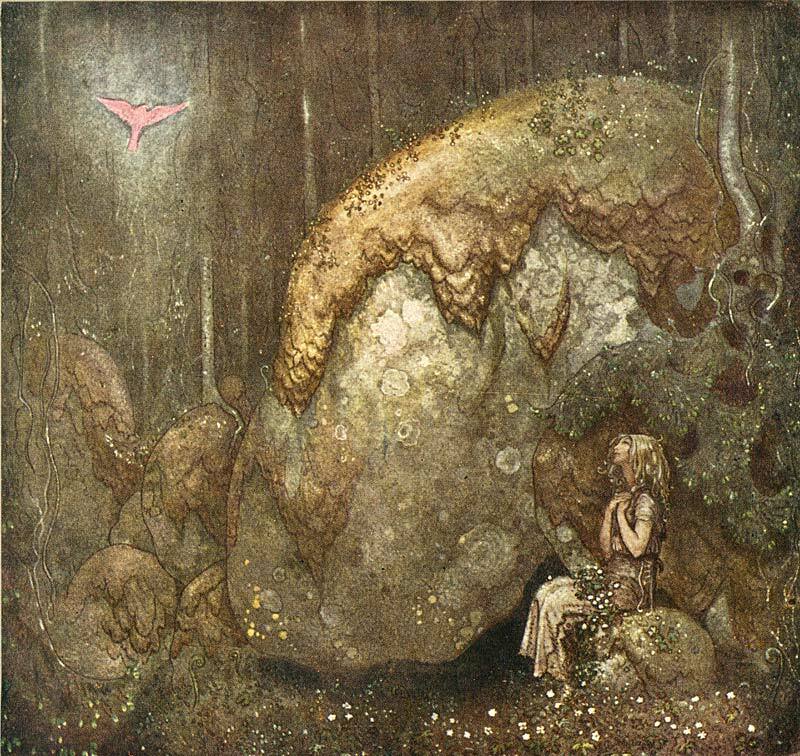 If you have any information on this great artist, please let us know about it in the comments below. 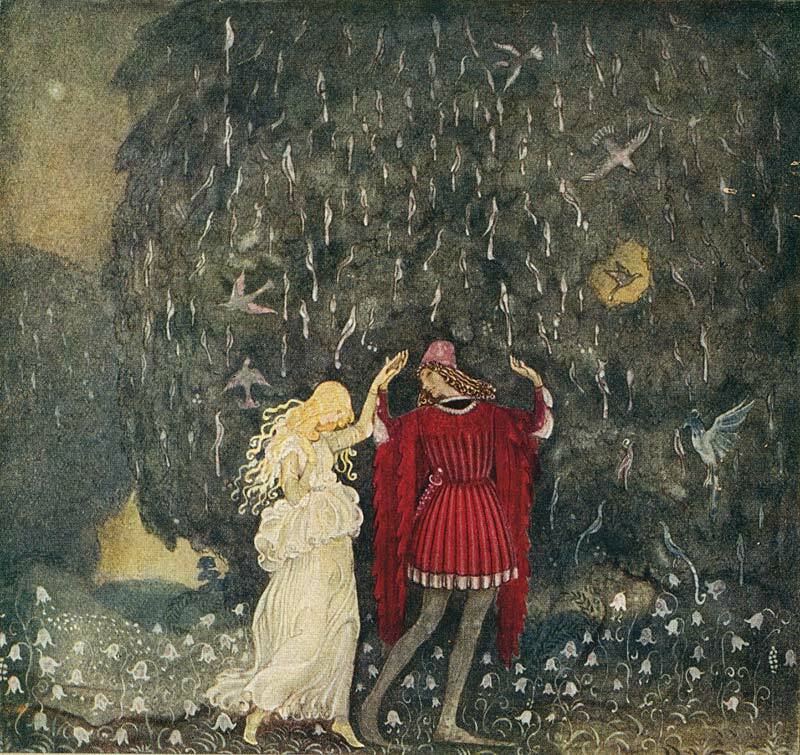 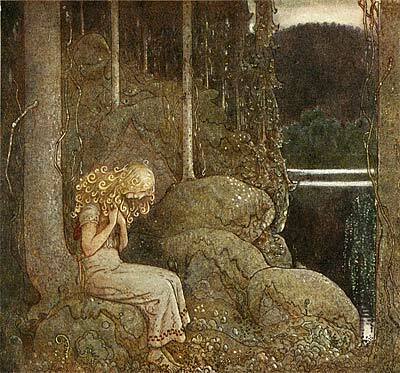 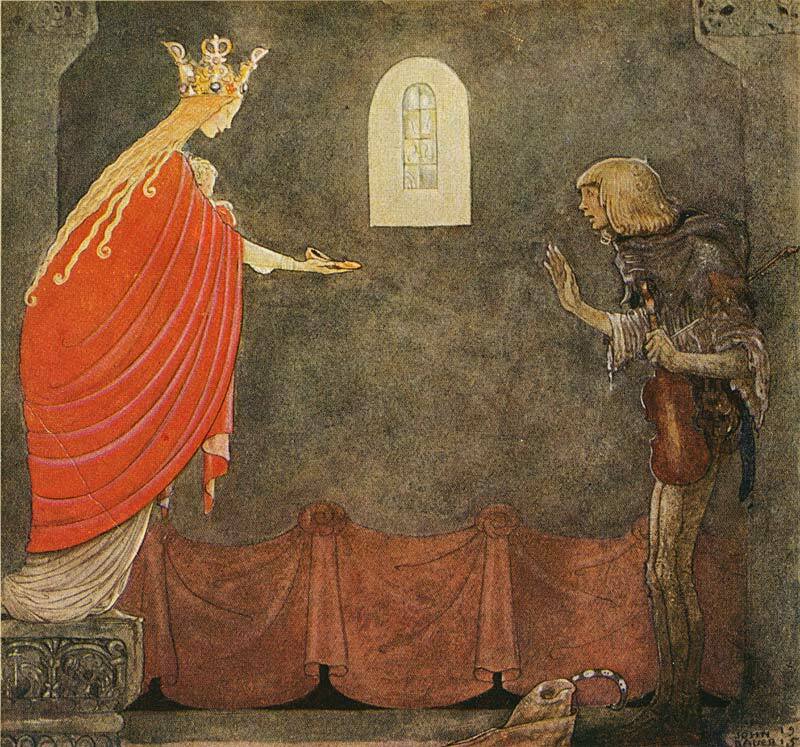 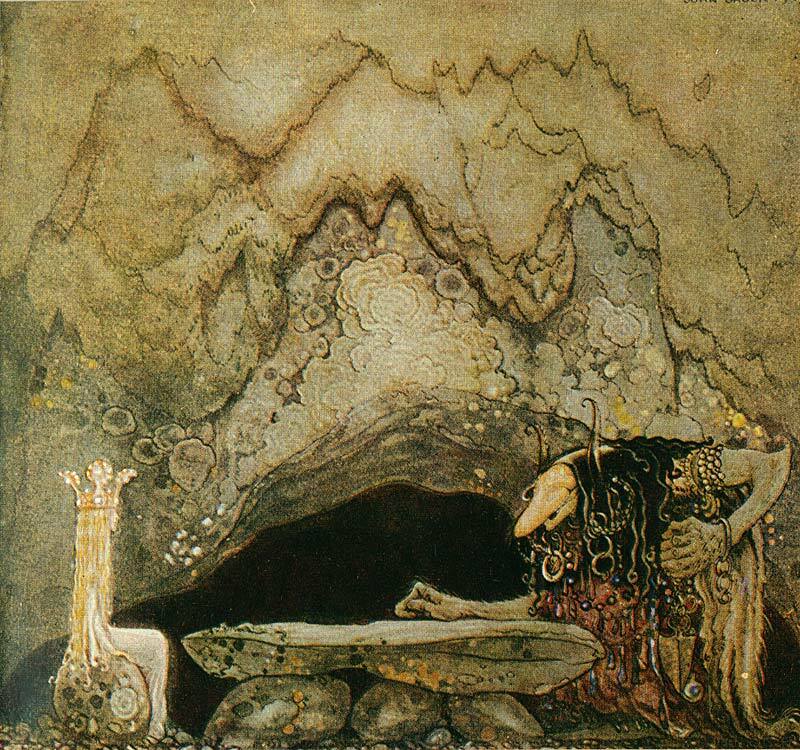 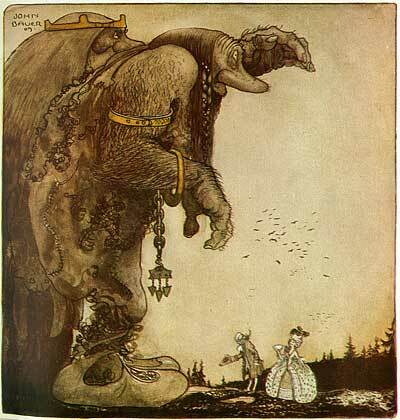 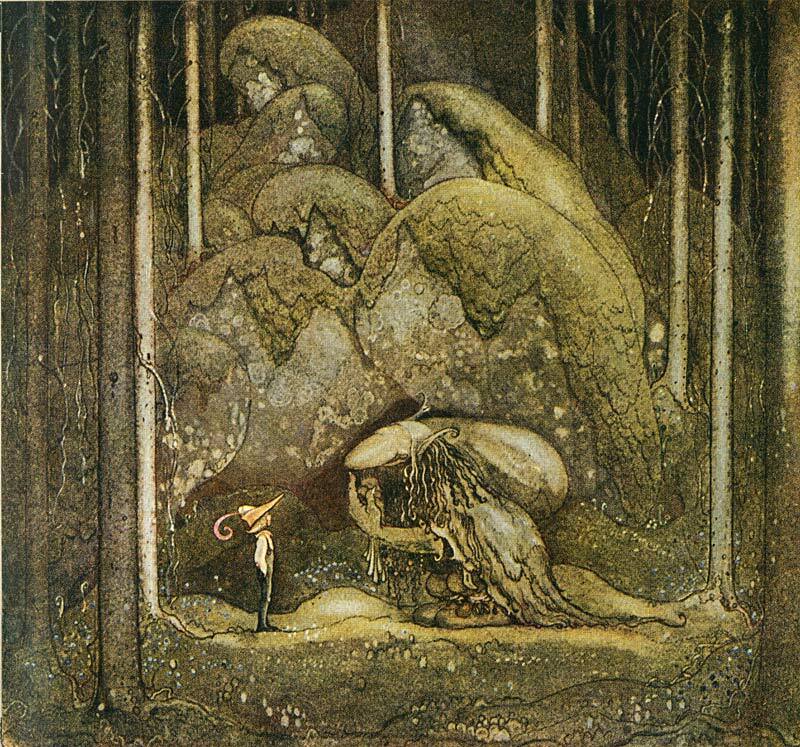 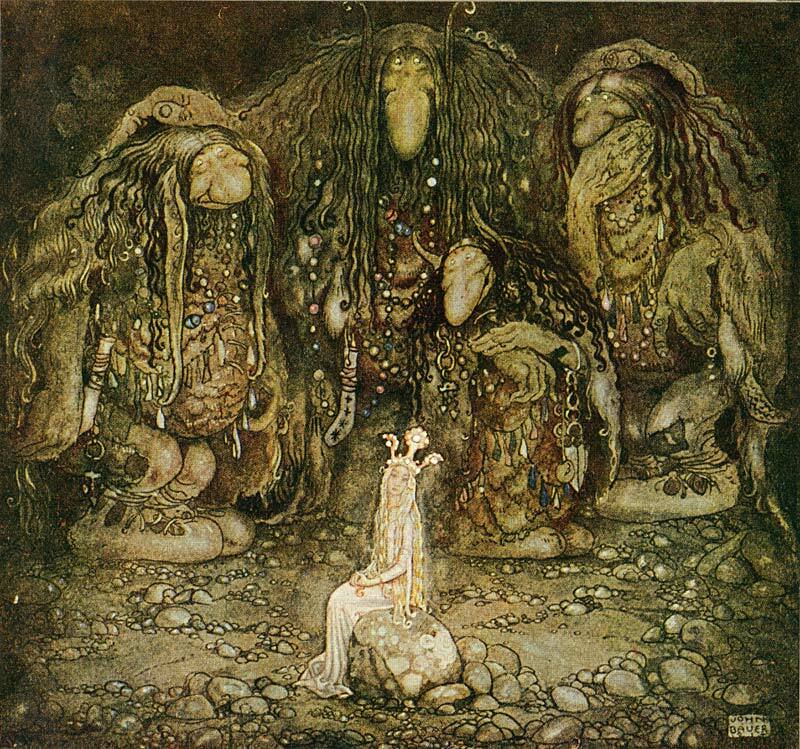 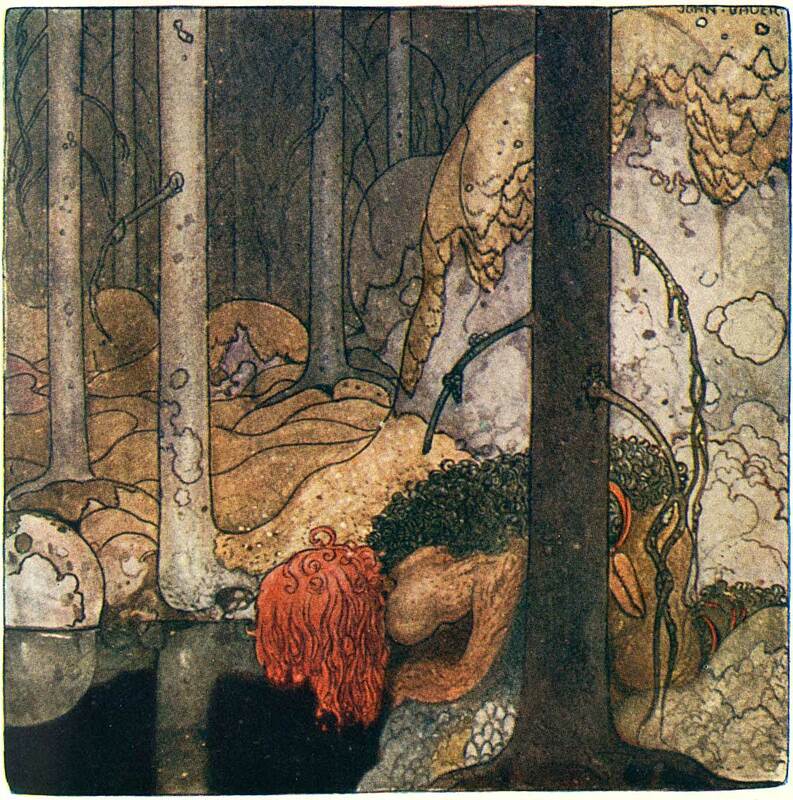 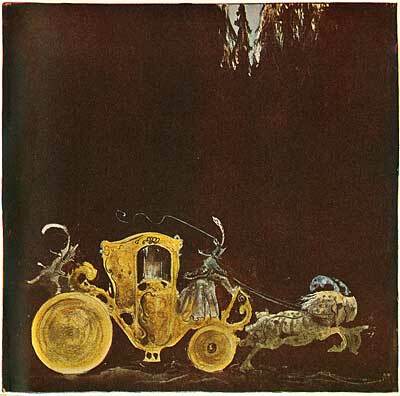 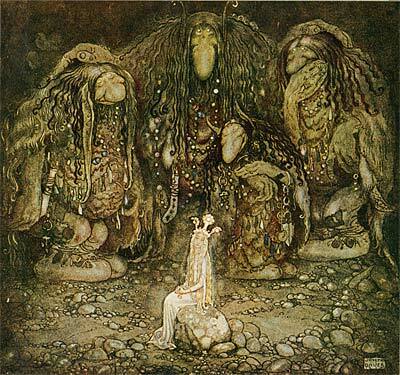 This entry was posted on Tuesday, May 1st, 2018 at 12:45 PM	and is filed under bland tomtar och troll, exhibit, fairy tales, fantasy art, illustration, john bauer.